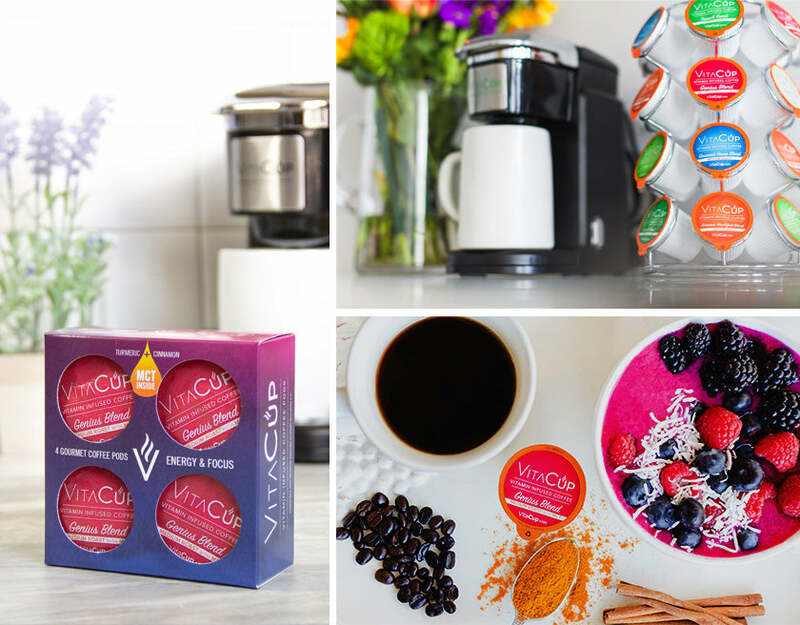 Start your day the right way with VitaCup’s Genius Blend — Gourmet Coffee Infused with Vitamins & Superfoods! Try GENIUS BLEND with our FREE 4-pod sample pack today! This new health hack will supercharge your day with energy & focus! VitaCup is SO confident you’ll love our premium coffee, we’re offering a limited time opportunity to receive our Genius Blend sampler for FREE. You just pay $2.95 shipping. Vitacup GENIUS BLEND Sampler Contains: The finest quality premium Arabica coffee in a Medium Roast, expertly infused with a blend of essential vitamins, antioxidants, and superfoods. This sampler usually sells for $7 with $5 shipping fee, for a total cost of $12. We’re offering it for free and we’ve even slashed our shipping fees to $2.95 to get this amazing coffee into your cup. get your free Genius Sampler. Genius Blend’s combination of smart ingredients and healthy fats create a delicious flavor and help with boosting energy and focus, and maintaining blood sugar. We’re providing you this limited time offer to try our pods for free. We know that once people taste our delicious coffee and realize they get the benefits of vitamins plus 100% recyclable and BPA free pods, it’s hard not to fall in love with VitaCup. See why more people are switching to VitaCup for more energy and focus for yourself! Limited Time Only. While Supplies Last. One Per Customer.